Course Website: Official Website - Visit Snake River Sporting Club's official website by clicking on the link provided. 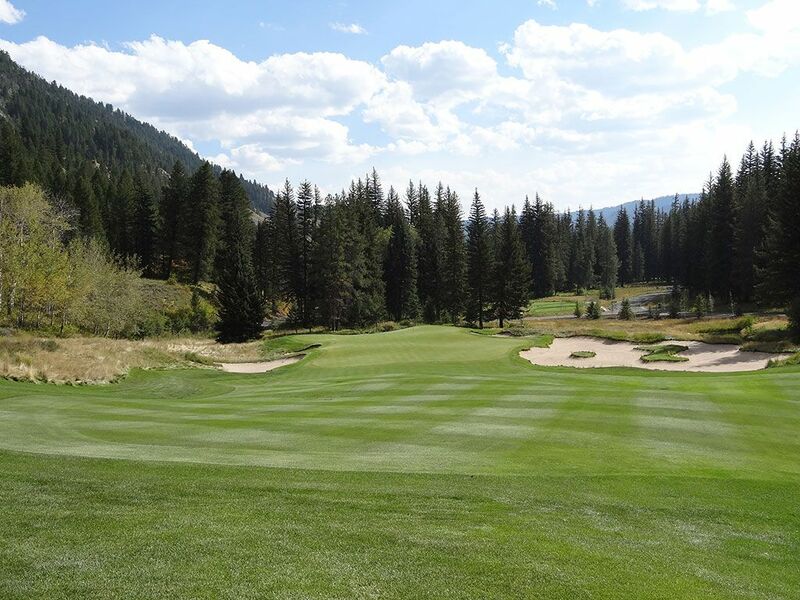 Accolades: Ranked 1st in Wyoming on Golf Course Gurus' Best in State list. 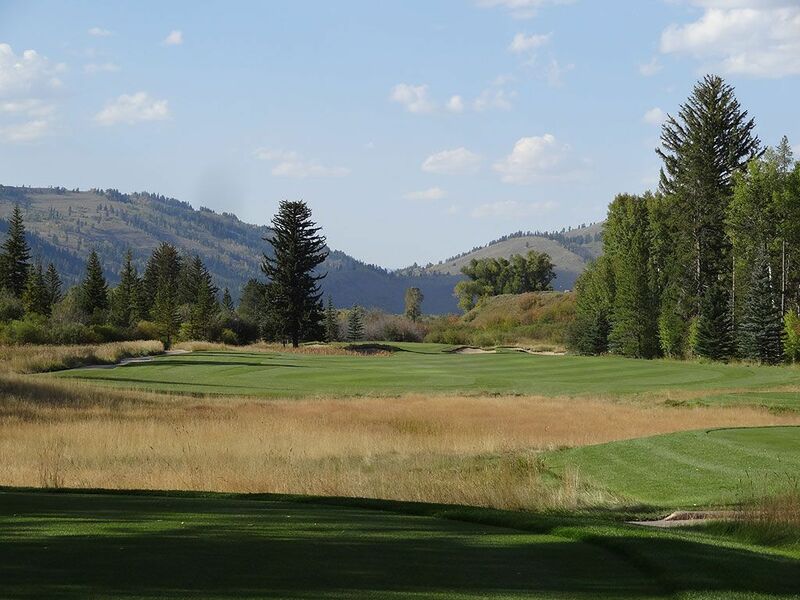 What to Expect: Snake River Sporting Club is Tom Weiskopf's best American design to date and is stellar in every way. 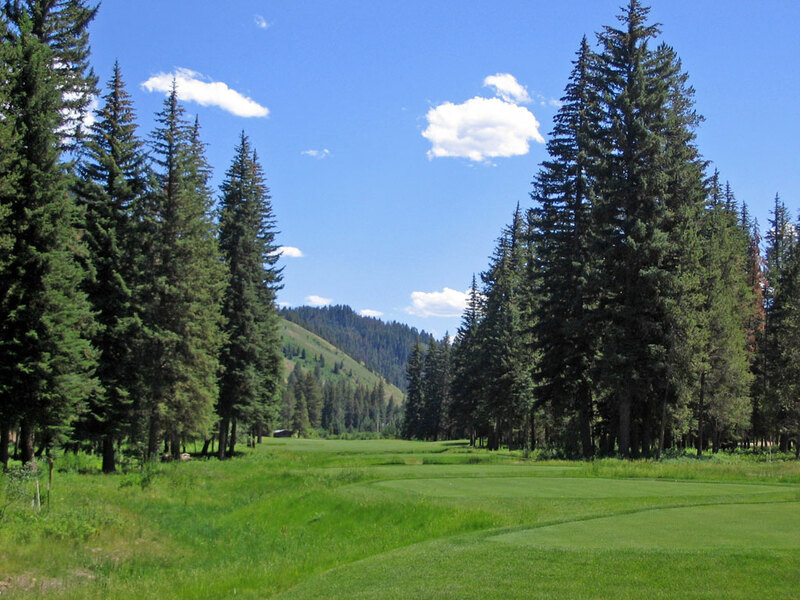 The course is located between the mountains and the Snake River south of Jackson Hole and features a variety of natural creeks and ponds that come into play on several holes, particularly on the back nine. 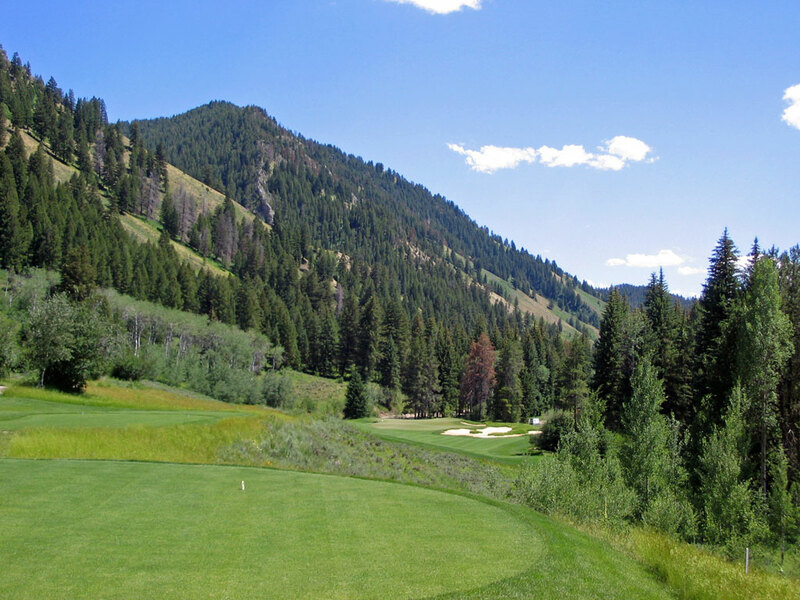 Most of the holes are relatively flat, but the course does feature some dramtic elevation changes (#1, #2, and #10) off the tee box and deliver an element of excitement, and hangtime, to this high elevation track. The course delivers several different looks to the golfer by cutting through thick forest on one hole, open wetlands on the next hole, and mountainous terrain on another hole. It would be difficult to identify a bad hole on the course and the variety is excellent with different shapes, lengths, and strategies throughout the round. 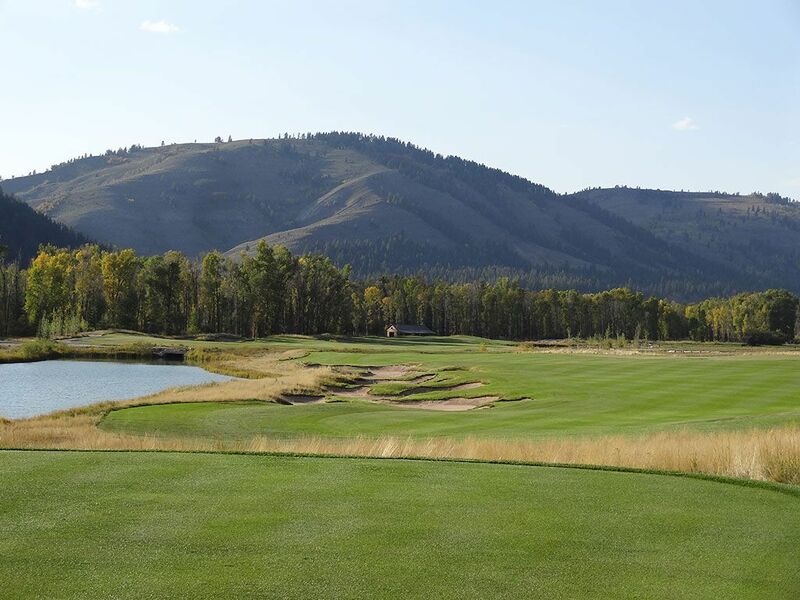 In the end, Snake River Sporting Club is one of the finest courses in the West and is evidence that Tom Weiskopf is getting better and better with his designs since his seperation from Jay Morrish. 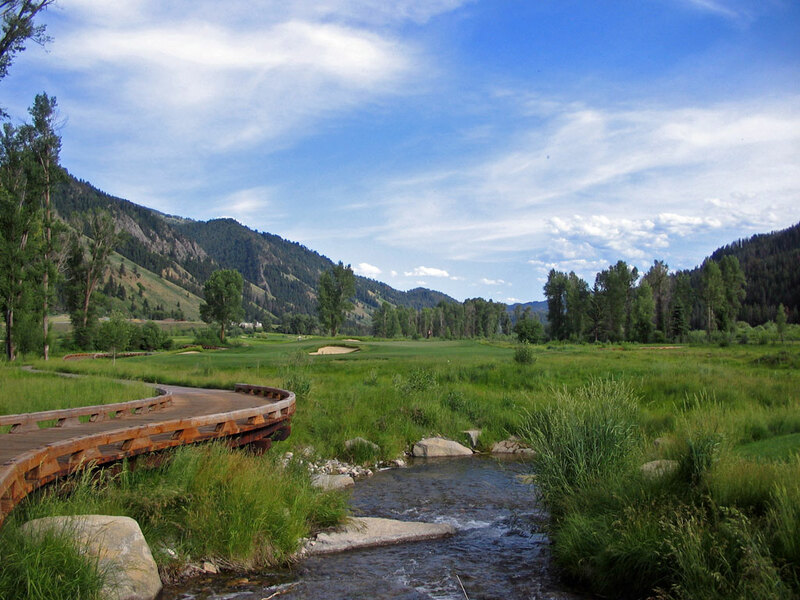 Signature Hole: 12th Hole – 233 Yard Par 3 – Meandering creeks, winding bridges, and stunning scenery are attractive elements found at Snake River Sporting Club, all of which are featured on the 12th hole. This flat par three plays over a marsh/creek area protected by a high lipped bunker on the left. Watching your tee shot fly towards the green with Jackson Hole’s gorgeous mountains as the backdrop is an impressive view to say the least. Best Par 3: 4th Hole – 150 Yards – Weiskopf’s short par three 4th hole stands out due to the small, high lipped Scotland’s style bunker protecting the front of the green. The green features some healthy undulations on the left side of the hole and provides some defense to the shortest hole on the course. Tucked down in the trees near the base of a mountain, the setting at this one-shotter is a beauty. Best Par 4: 8th Hole – 447 Yards – This challenging two-shotter embraces the course’s namesake and features the Snake River along the left side of the hole. This straightaway hole features an undisguised tee shot prior to all of the fun coming into play. 140 yards away from the green is a waste bunker on left, another bunker 60 yards from the green, two more 40 yards from the green, and finally a bunker located at the front left portion of the elevated green. The putting surface is tucked back into an amphitheater of trees which adds beauty and appeal to this stirring hole. The only eagle you’ll likely experience on this hole is a bald eagle fishing in the Snake River on your left; which is just as fun as putting a two on your card. Best Par 5: 11th Hole – 635 Yards – The first par five on the back nine is a hole of mighty proportions and plenty of strategy. Measuring a whopping 635 yards, significant distance can be taken off the hole if you are willing to challenge the water featured on the left side of this dogleg. A tee ball that can carry 290 will clear the bunker complex on the left and turn on the green light for reaching this green in two with anything from a 5 iron to a 3 wood. Those that are laying up will need to hit across the stream that crosses the fairway 200 yards from the green while managing to land on the second fairway that is protected by bunkers on the left and water on the right. The green houses a bunker in the rear while the water on the right will only come into play with a significantly wayward approach shot. With a tail wind to assist me on my last visit, I was able to go driver-4 iron to this green and card a rewarding birdie – so with the right conditions you could be staring down an eagle putt on a 635 yard hole too! 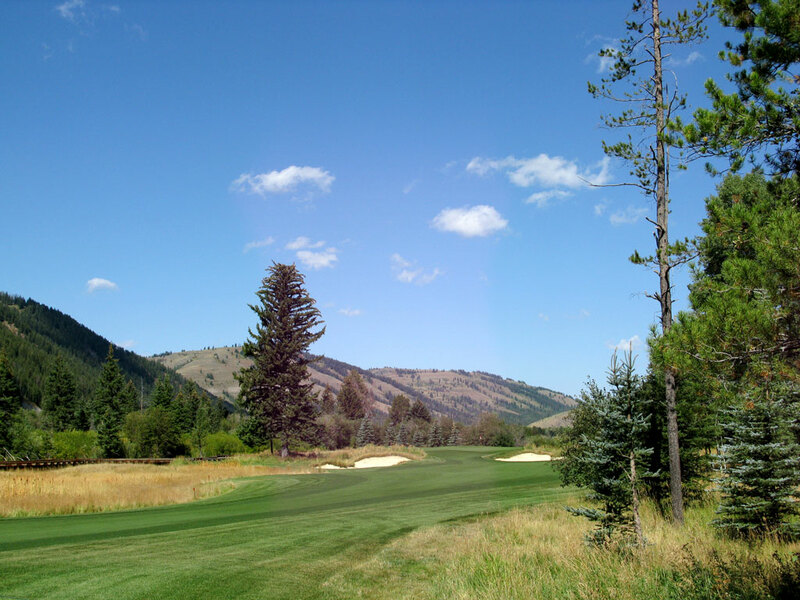 Birdie Time: 2nd Hole – 322 Yard Par 4 – The hole that everyone will remember when playing Snake River Sporting Club is the 2nd hole of the day. Tom Weiskopf is famous for putting a driveable par four on virtually all of his course designs, and his effort at SRSC is my favorite of his offerings. 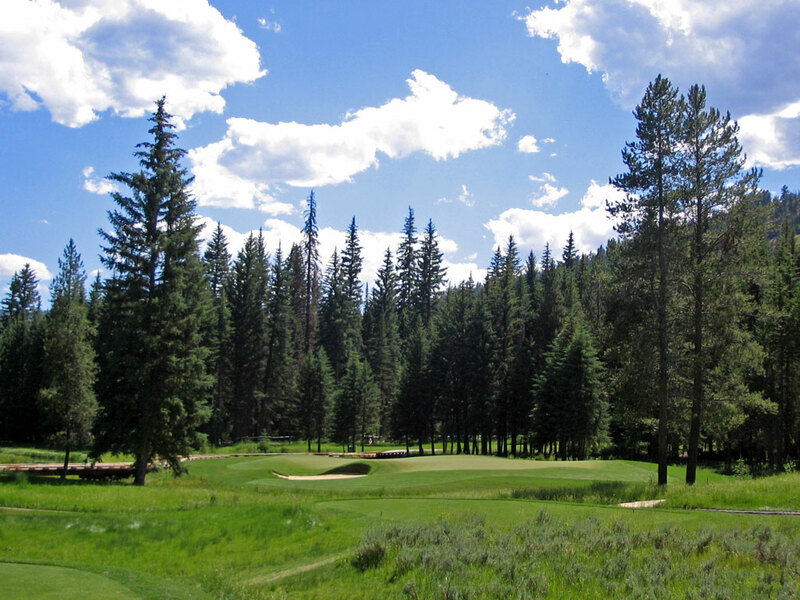 Tipped out at 322 yards, this hole plays 50 feet downhill, through the high elevation mountain air, and features a large hill on the left ready to propel balls forward; all features that should assist in reaching this green off the tee. However, the biggest challenge to scoring a birdie for many players may not be reaching the green in one, it may be avoiding the dreaded three putt. The 2nd hole’s green is the most undulated green I can remember seeing. There are pin placements on this green that will be difficult to lag within eight feet of from certain spots, especially with the quick greens the club maintains. For some the green will seem crazy, others will see it as fun, but everyone will remember it! Bogey Beware: 3rd Hole – 475 Yard Par 4 – Long, straight, and narrow; a deadly combination for most golfers. With towering evergreens framing the hole and 475 yards to cover this hole will get your knees shaking right off the bat. The hole opens up 150 yards from the green, so if you can rope a 325 yard drive straight as an arrow through a corridor of trees then it is easy; but if you are a mere mortal this hole will test you to the fullest. The green is twice as deep as it is wide and a stream runs down the right side of the fairway. The one reprieve on this hole is the lack of any bunkers tee to green; I guess including them would have been flat out diabolical!